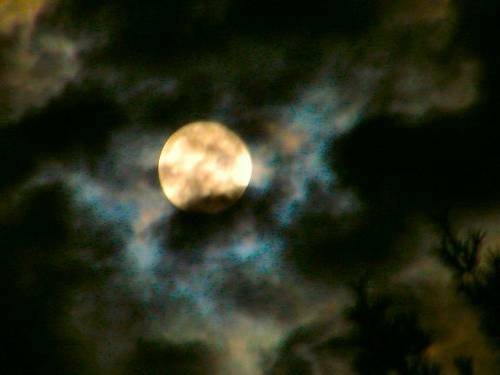 The dark clouds rolled over the moon like a woman’s lacy garment, covering and yet not covering, inviting the eye to search the deeper mysteries. The moon was still the same, he thought while yet aware that she was there, up there in the colony. Though he might have imagined the cities which would be built upon that brilliant satellite, how they would change the moon’s face for future generations, he let his fancy guide his thoughts, and assumed that man would always have the moon, and would always know the night. But, the wonders of mystery were at an end, and man grew weary of cloudy revelation. Yeah, I think so. Not particularly a fan of Queen, though. Sort of distracts, to my way of thinking.